N Engl J Med. 2005 Dec 1;353(22):2335-41. 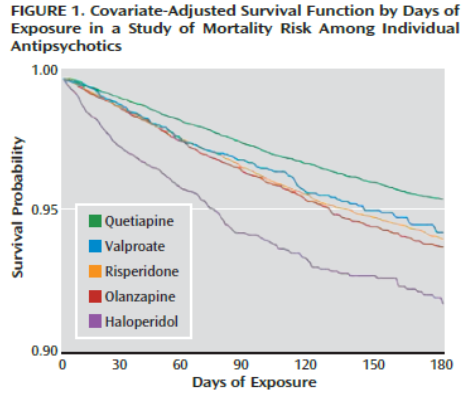 前回取り上げたRisk of death associated with the use of conventional versus atypical antipsychotic drugs among elderly patients. ( N Engl J Med. 2005 Dec 1;353(22):2335-41. J Clin Psychiatry. 2009 Oct;70(10):1340-7. Am J Psychiatry. 2012 Jan;169(1):71-9.